Cowboy custom food where steak is the main dish! 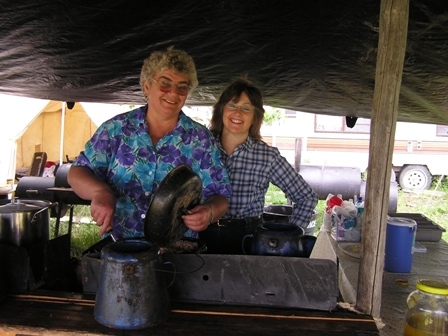 The chuckwagon catered food and meals are what makes WRC in Billings, Montana, unique. 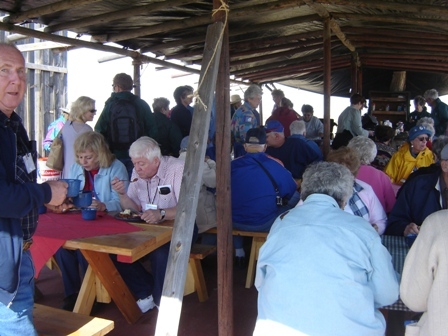 With our custom made foods, catered meals, and drinks, you discover the western style gourmet cooking of our chefs and cooks. 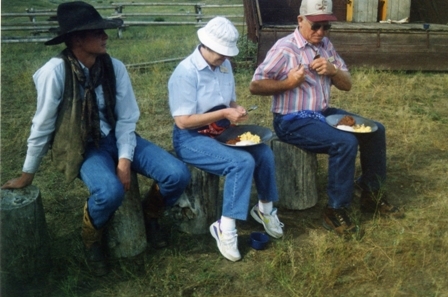 We specialize in outdoor group activities where either breakfast, lunch or dinner is served up cowboy style. 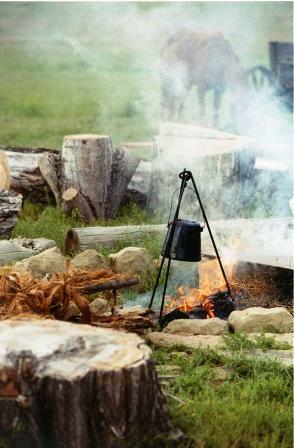 We usually like to do it in areas that we can set up a chuckwagon and campfire if possible, since props are important to our catered events, parties and fairs. WRC is prepared to cook meals for large groups. Our barbecue country menu always contains a savoring homestyle steak which is the main dish for our guest. The famous but "secret" recipe of cowboy beans leaves a rich cowboy flavor in the mouth. To conclude, the Indian fry bread has been a western dessert for many from out of state. We customize our snacks/foods and meals to the occasion. Guaranteed, steak will be first on the menu. 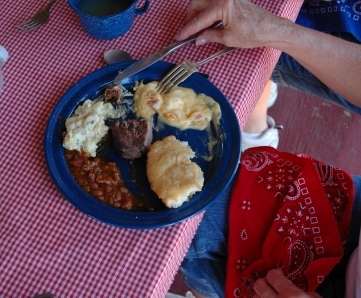 Sample Food Menu: steak, fry bread, cowboy beans, buffalo chili, fruit, potato salad, coffee, juice, etc. 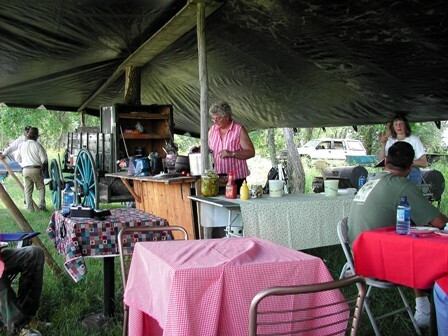 Sample Breakfast: steak and eggs, biscuits and gravy, dutch oven fry, fruit, fry bread, coffee, juice, etc. Reenactment in Crow Agency and Hardin, Montana. 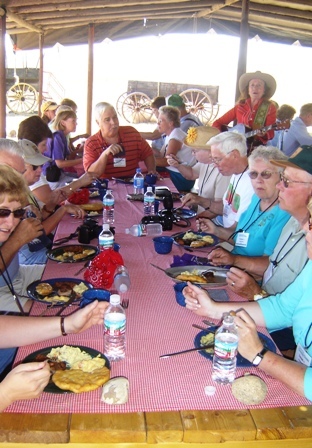 about catered western activities in and around Hardin, Billings, Huntley, Worden, Laurel, and Red Lodge, Montana. For additional information, call 406-348-2048. Copyright © 2005 - 2007 Western Romance Company All rights reserved.